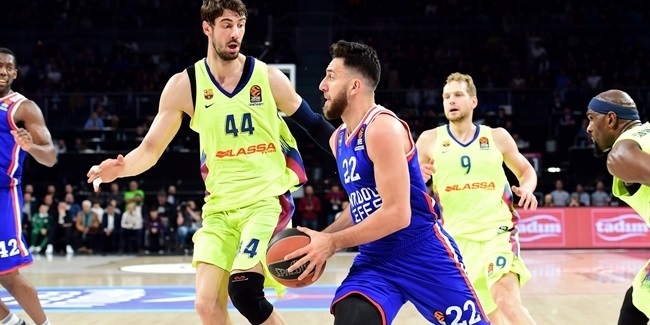 Browns 34-point total based on 3-for-3 two-point shooting, 4-for-8 from downtown and 16 of 21 on the free throw line was the most scored in any Euroleague game in almost two years. Sonny Weems of CSKA Moscow still leads in overall scoring with 19.75 points on average over this season's first four games. Those 13 rebounds by Williams of Chalon led all Euroleague players in that category this week, while Baynes of Olimpija is the overall leader with 10 boards per game so far. Both Huertas and Omar Cook of Milan were this week's top assist men, with 9 each. Jerel Blassingame of Asseco Prokom Gdynia, averaging 8.25 per game, is the league leader in assists. Alba Berlin swingman Nihad Djedovic's 4 steals were the most this week, while Ricky Hickman of Maccabi Electra Tel Aviv has the competition's top average, 2.75 per game. Kyle Hines of Olympiacos Piraeus had the week's high of 3 blocked shots. 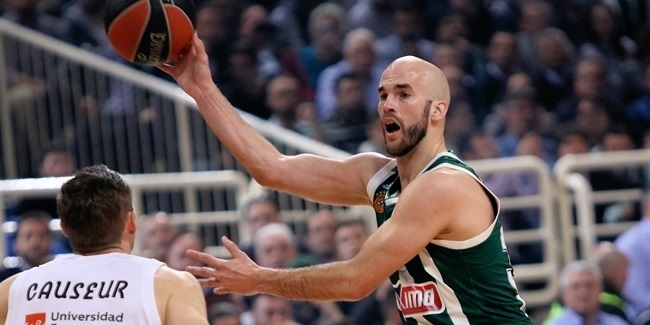 Stephane Lasme of Panathinaikos leads all players with 2.33 per game. 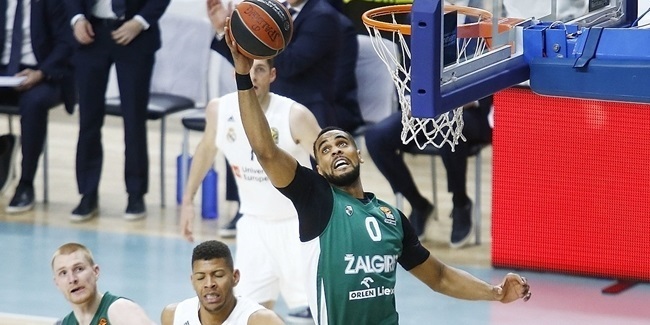 In the double-double department, Williams of Chalon (28 points, 13 rebounds) and Baynes of Olimpija (27 and 10) were joined by two more players who doubled up on rebounds, Jonas Maciulis of Panathinaikos (14 and 10) and Mirza Begic of Real Madrid (17 and 10).